Last week you saw the revived U.S. sanctions against Iran finally take full effect. This has caused dramatic swings in past months across oil and energy markets. Something that has been overlooked though is the geopolitical consequences for regional stability. The sanctions are strengthening the hand and argument of the Ayatollah and other hardliner elements in Iran like the IRGC Iranian Revolutionary Guard Corp. The rise of these trouble making elements represents a dangerous threat to global markets across not only the Middle East but throughout Europe, Japan, and the United States ultimately. It reminds you of why you need to hedge your investment and retirement portfolios with IRA-approved precious metals. 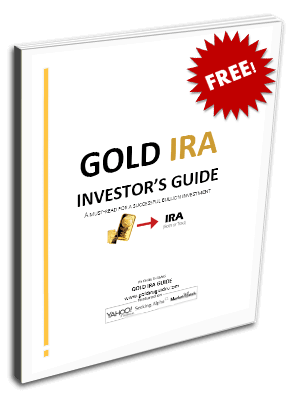 The fact is that gold makes sense in an IRA precisely because the world is only one crisis away from financial chaos. Now is the time for you to get some of the yellow metal before the situation with Iran and the region gets any worse. You can do this by buying gold in monthly installments and storing it in top offshore storage locations. President Trump's administration made good on its threats to re-erect the sanctions against Iran this past Monday. The new sanctions took effect on literally hundreds of financial and business entities in the energy complex as well as the wider economy. Included in the industries blocked were the airline, shipping, and banking sectors. A few nations successfully lobbied for brief extensions to keep purchasing Iran's oil while they work out replacement supply chains. This included India, China, Italy, Japan, Greece, South Korea, Turkey, and Taiwan. The American administration has pledged that it will not remove these new sanctions on Tehran until Iran meets its 12 demands. Pompeo is not bluffing either judging by the all-consuming list of sanctions' targets. Over 700 different entities have been cut off from the American banking and financial systems and by extension from much of the international community. These include people, companies, ships, airplanes, and banks, among others. When President Trump declared that the U.S. would leave the 2015 struck accord that former President Obama signed with Iran, he did so because of personal convictions that the nuclear arrangement was both flawed and too one-sided. He allowed for companies doing business in or with Iran to have a from 90 day to 180 day grace period to close up their dealings with the Islamic Republic. Those firms around the world that refuse to comply with the ultimatum will be blacklisted and banned from both the key international SWIFT payment transfer system and the American markets and banks. Iran as the third biggest producer of crude oil in OPEC has an important part to play in world oil markets. For a few months, global oil prices rose dramatically as the prospect of heavily reduced Iranian oil shipments sunk in on market participants and oil traders. It touched a multi-year high at over $85 per barrel only last month. More volatility in global energy markets can be expected as the titanic struggle between the U.S.-led Saudi faction battles the Russian-led Iranian side. Meanwhile the Iranians refuse to accept the renewed sanctions quietly. Their once considered moderate President Hassan Rouhani on Monday declared that they will avoid the sanctions and continue to force their barrels of oil onto global energy markets. It is more of their now-infamous defiance that the Persian nation has demonstrated for decades. The geopolitical standoff is becoming more critical thanks to the European position on the matter. Long in lockstep with the U.S. on Iranian sanctions, the EU has taken the opposite tack this time. They staunchly oppose the American withdrawal from the Iran nuclear agreement of 2015 entered into by former U.S. President Barrack Obama. The E.U. 's goal is to save the deal so they can safeguard the business opportunities which their own international corporations have begun in Iran the last three years. As such, the Europeans are busy trying to protect the EU-based firms from the powerful U.S. financial system's assault. Yet despite the European governments' positions, a great number of the EU national companies have simply slashed all ties to Iran. The costs of angering the U.S. are just too great economically as offending companies have been promised that they will be cut off from the crucial American economic and financial systems in consequence. The American efforts have produced results. Firms in over 20 countries have quit purchasing Iranian oil completely. This has reduced the oil exports from Iran by approximately one million barrels of oil equivalent per day. This costs Tehran's regime about $2.5 billion worth of badly needed oil revenues. It was only last month that the oil futures reached new four year highs with energy markets preparing for the disappearance of Iranian oil barrels. Fortunately for global oil importing nations, oil demand has declined since then, while the world's largest producers have also increased their production. This helped oil prices to decline around $13 per barrel in a much-needed oil sell off. The moral of the story is that you need a solution to the multi-decade problems caused by Iran. Despite years of sanctions, threats of military action against them, and even espionage sabotage against their nuclear enriching facilities over the years, the regime in Tehran successfully continues to exert negative influence around the Middle East and to roil the geopolitics of the world. Gold is your antidote to the Iranian problem that never seems to go away. Now is the time to consider the top five gold coins for investors while there is still a relative lull in the calm before the storm.